Tips for Keeping Your New Year’s Resolution! New Year’s resolutions are easy to make but much harder to keep. Now that we are almost a month and a half into 2019, where are you in keeping yours? 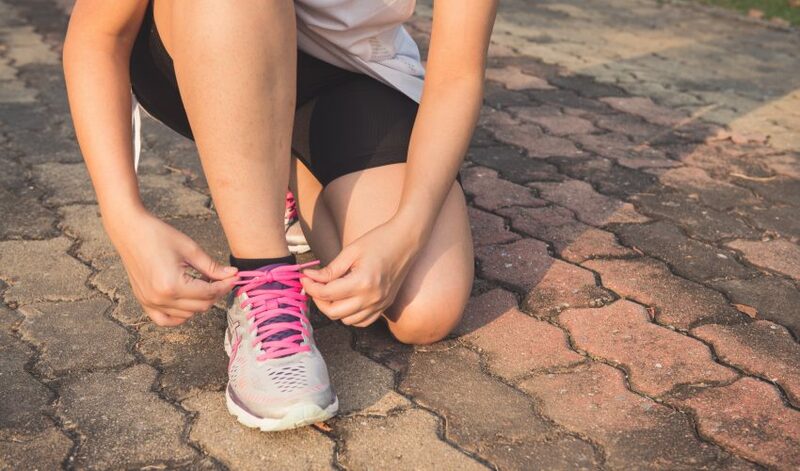 If exercise was a part of your resolutions, Kara Fowler, Personal Trainer at the NEA Baptist Clinic Wellness Center, has a few pointers to help you get back on or stay on track to being active and fit in 2019. For some people, it requires the accountability of a class, a group, or even a friend. There are local walking/running groups (Gearhead), Women Can Run is about to start up-and these events are free! Different gyms have different clientele (Crossfit, Silver Sneakers/Silver Fit, Water Aerobics, etc). So find a gym or a group and get involved! Here at NEA Baptist Clinic Wellness Center, you can get a free 7-day pass to come try our facility and our classes! Having a friend, spouse, trainer, or instructor will insure that you’re more likely to start-and maintain your fitness goals. If you start to back out of your exercise plans for the day, your friend will hopefully change your mind. If you’ve already paid your trainer, that will make you more likely to attend. If you know your instructor and classmates are wondering about your whereabouts, you’ll be more likely to show up! Find someone to come with you and it will help the both of you with your goals! It’s all about accountability. It’s simple-if you find something that you enjoy doing, you’re obviously more likely to continue that activity. Whether it be walking, a class, one-on-one time with a trainer… Find what you enjoy, be consistent with your scheduling (i.e. Mon/Wed/Fri at 7am) and keep up the good work! Anything is better than nothing. Get moving! Whether it’s the motivation of an upcoming vacation, wedding, outfit you’d like to fit into/look better in… Make goals throughout the year and try to hit them. Set quarterly goals (measurable goals are best because you can SEE your improvement!) Don’t just focus on your weight… Maybe you’re sleeping better or getting more energy throughout the day. Maybe your pants are a little looser! Do not just focus on the numbers on the scale-look for other ways that you’ve improved! We hope you found Kara’s suggestions helpful. If you have a tip we’ve not included, please feel free to comment on our foundation or the NEA Baptist Clinic Wellness Center Facebook pages. As always, please consult your physician before starting any exercise program.